One of the most popular New England boxing prospects, undefeated Hartford (CT) light heavyweight Richard “Popeye The Sailor Man” Rivera (5-0, 4 KOs), will headline his third show Saturday night, February 10, at The Palladium in Worcester, Massachusetts. 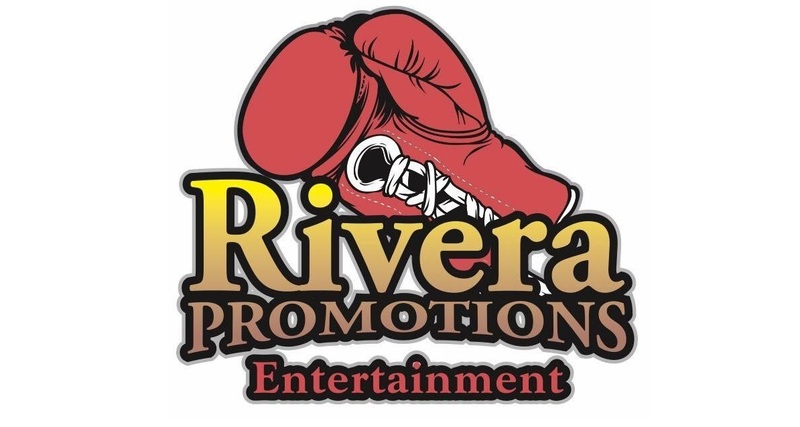 In the fifth installment of the “New England’s Future” series, presented by Rivera Promotions Entertainment (RPE), the 27-year-old Rivera meets Kevin “KRAY 2 UNKL” Cobbs (10-2, 4 KOs), fighting out of Burlington (VT), for the vacant Universal Boxing Federation (UBF) New England title in the eight-round main event. Rivera, who was a 2016 Rocky Marciano Tournament champion, is coming off a sensational second-round knockout of 146-fight veteran Roberto Valenzuela this past December 9 in Hampton, New Hampshire. Although he didn’t win many major awards or tournaments as an amateur boxer, Rivera gained invaluable experience boxing many of the best amateurs in New England and in national events, as well as sparring with the likes of former world champions Peter “Kid Chocolate” Quillin, Chad Dawson and Joe Smith, Jr. He also learned from time spent in the ring with former title challengers Israel “Pito” Cardona and John Scully. Worcester’s two-time national amateur champion Bobby “BH3” Harris, III meets Brazilian middleweight Saul Almeida (0-8-1) in the four-round co-featured event. Fighting on the undercard, all in four-round bouts, are rising New Haven (CT) super middleweight prospect Elvis Figueroa (3-0, 1 KO), a three-time USA Boxing Nationals Championship gold medalist, vs. TBA, Worcester featherweight Ranse Andino (1-0) vs. Alex Montes (1-2-1), of Lawrence (MA), Danbury (CT) welterweight Omar Bordoy, Jr. (2-0) vs. Puerto Rican invader Alexander “El Bravo” Picot (2-4-1), Southbridge (MA) welterweight Wilfredo “El Sucaro” Pagan (3-0, 1 KO) vs. pro-debuting Nick Peralta, of Lawrence, undefeated Springfield (MA) light heavyweight Ray “Bazooka” Graceski (5-0, 3 KOs). vs. Hartford’s pro-debuting Paul Bansiak, Hartford junior middleweight Jose “Rated R” Rivera (4-1, 3 KOs) vs. Troy “Omar KO Artist” Artis (4-7-1 (3 KOs), Springfield welterweight Derrick “Double Impact” Whitley (2-0) vs. Roger Blankenship (1-2), undefeated Puerto Rican middleweight Jelame Garcia (6-0, 6 KOs) vs. Brazilian Rodrigo Almeida 1-7), Meriden (CT) bantamweight James Aquino (6-0, 6 KOs), 2016 New England Golden Gloves champion, vs. Luis Rivera (3-3) and Hartford’s pro-debuting welterweight Joseph Goss vs. Seth Basler (0-3).